Huntsville Hospital for Women & Children is seeking a BC/BE Child Neurologist. Huntsville, AL was rated in the "Top Ten Smartest Cities in the World" by Forbes and our cost of living is 10.20% less than the national average. This is a great opportunity to practice in a growing area that enjoys a strong local economy. Practice mainly sees seizures, headaches, developmental delays, CP and muscle issues. Baclofen pump, Botox, EEG, EMG/NCV studies, EMU monitoring. 50-60 referrals a week, 15-18 patients daily, 7 on/7off call schedule. Very competitive compensation package with base salary and worked RVUs/productivity and quality incentives. Huntsville Hospital for Women and Children is a stand-alone facility dedicated to caring for women, infants, children, and adolescents. The hospital offers the region's most comprehensive and experienced maternal and child health programs. It was established in 2002 and is rated in the Top 50 Pediatric Programs in the nation. Average of 5,000 births a year and 16,000 admissions annually. 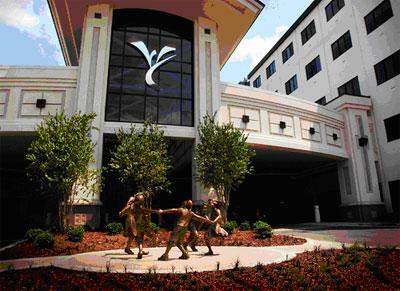 Huntsville Hospital for Women & Children is the only one of its kind in the region with a 16-bed Pediatric ER, 11 bed PICU, 45 bed Level III NICU, 40-bed Pediatric Inpatient facility treating infants to 18 years of age and 1 of 6 St. Jude Children's Research Hospital affiliate clinics for Pediatric Hematology/Oncology. Huntsville, with a population of 386,661 in the metro area, is a high-tech, family oriented, multi cultural community with excellent schools, dining and entertainment. It is nestled at the foothills of the Appalachian Mountains with an abundance of activities to do inside or out. Huntsville is situated in the fastest growing major metropolitan area in Alabama, and with the highest per capita income in the southeast, Huntsville is the best place to live, learn and work. We are a community on the move with rich values and traditions while progressing with new ideas, exciting technologies and creative talents. Huntsville Hospital for Women and Children is a facility dedicated to caring for women, infants, children and adolescents. The hospital was established in 2002. Huntsville Hospital for Women & Children is the only one of its kind in the region with a 16-bed Pediatric ER, an 11-bed PICU, 40-bed Pediatric inpatient facility and also home to one of six St. Jude affiliate clinics. Huntsville is situated in the fastest growing major metropolitan area in Alabama, and with the highest per capita income in the southeast, Huntsville is the best place to live, learn and work. We are a community on the move with rich values and traditions while progressing with new ideas, exciting technologies and creative talents. Our community’s unique characteristics are a worldwide attraction and will certainly provide a place for you and your family to flourish. With a population of almost 400K, we are a high-tech, family oriented, multi cultural community with excellent schools, dining and entertainment. Huntsville is nestled at the foothills of the Appalachian Mountains with an abundance of activities to do inside or out. Come hike our mountains and swim in our lakes!